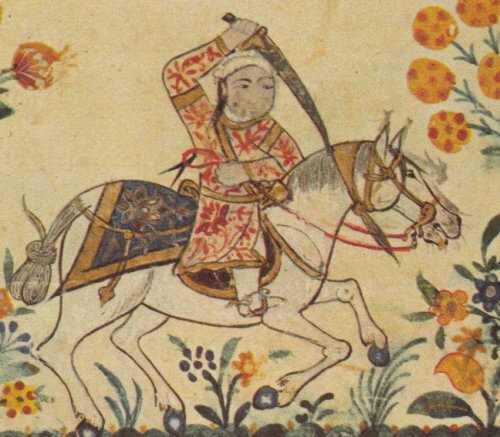 Illustration of a horseman performing a sword excercise. The saddle cloth features a lotus leaf. 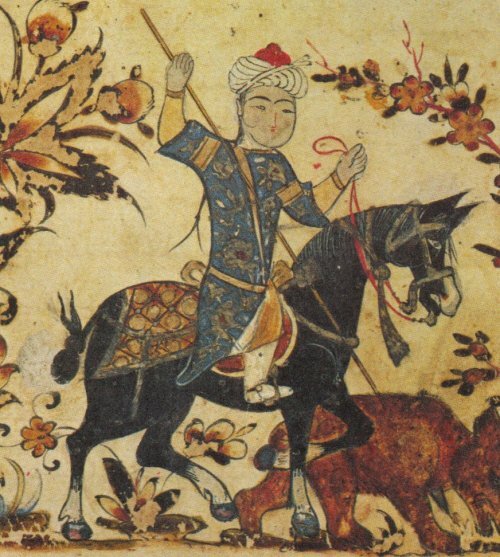 Single horseman who has transfixed a bear with his lance and carries a mace at his right knee. The text mentions incidentially that this particular lance, shorter than the regular type, is useful for dealing with wild animals. The youth, obviously a novice, wears a pigtail. 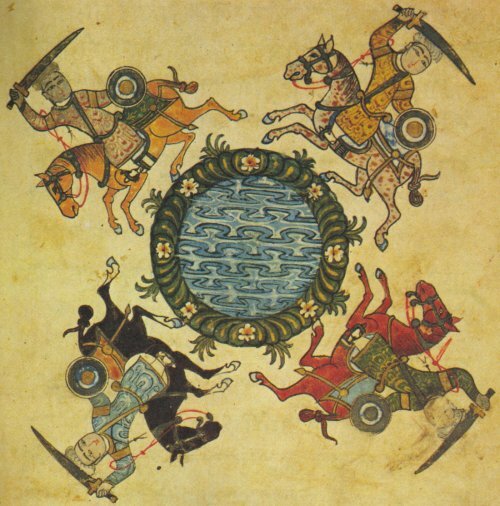 Illustration of four horsemen, each one having a sword and a hide shield and each one carrying his shield on the horses croup. The riders canter around a circular hippodrome pool in an anti-clockwise direction. All the riders have the reins looped over their right arms.